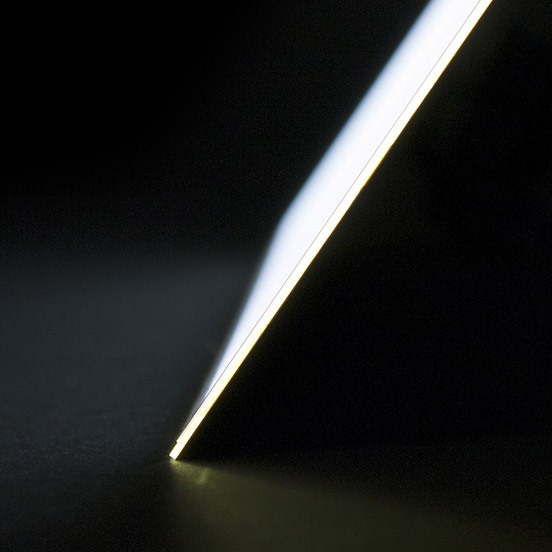 Rigid OLED light panels are a surface light source system that generate low heat levels whilst featuring an exceptionally slim profile of up to 2.1mm. Their razor thin and lightweight structure recommends them to integration within unique product and design compositions. 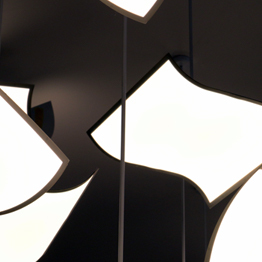 With a light output of up to 300 lumen, the Design with OLED range includes the brightest OLED panels commercially available worldwide. 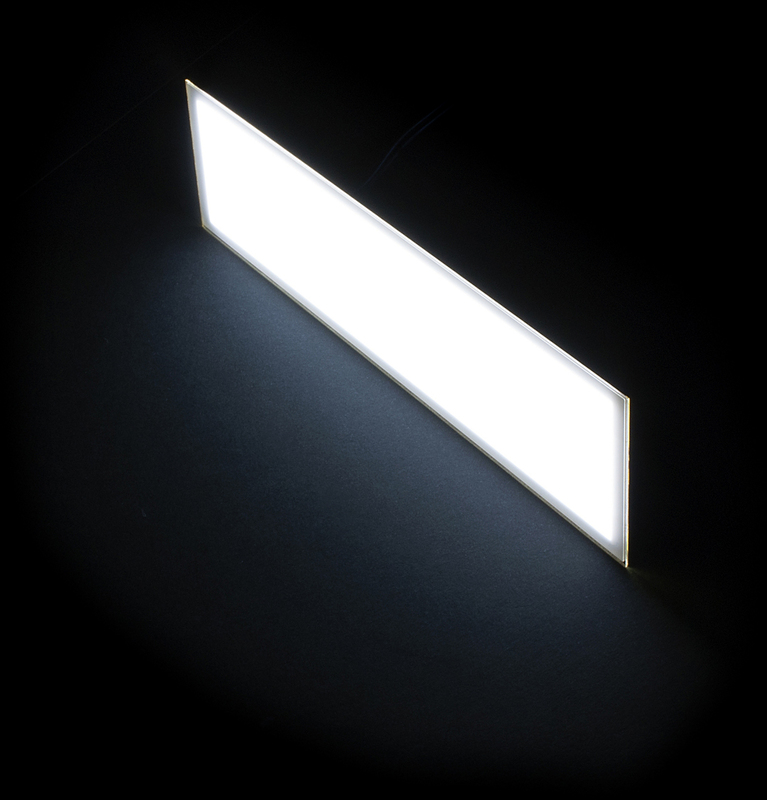 These 3000K panels have an efficacy of up to 75lm/W at 300lm/8500cd/m2 (85lm/W at 100lm/3000cd/m2). 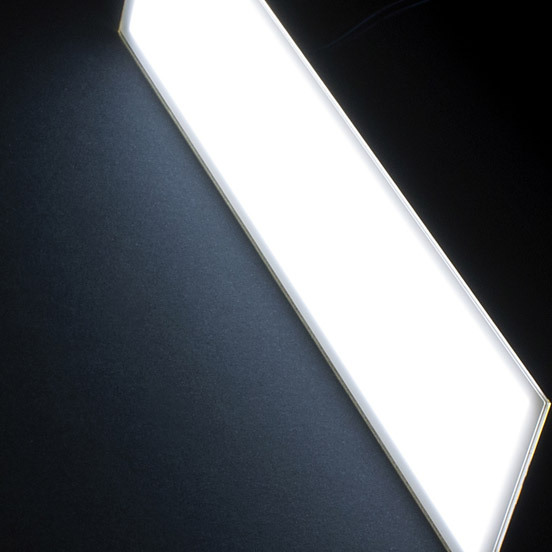 Corresponding OLED panels in 4000K have a light output of up to 250 lumens and a lumen efficacy of 58lm/W at 250lm/7000cd/m2 (60lm/W at 100lm/3000cd/m2). 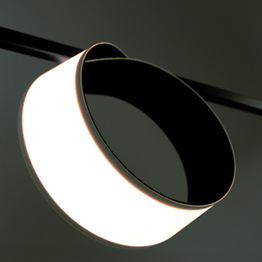 Instantly glare free, homogenous light is one of the attractions of OLED light. 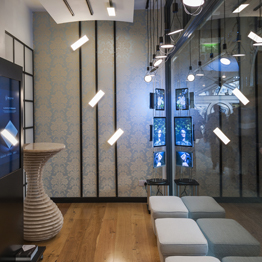 The Design with OLED range includes 4000K panels with a colour rendering of >93 (R9 >80) and 3000K panels with a colour rendering of >90 (R9 >50). Set panel dimensions ensure light quality is consistent in like for like panels. 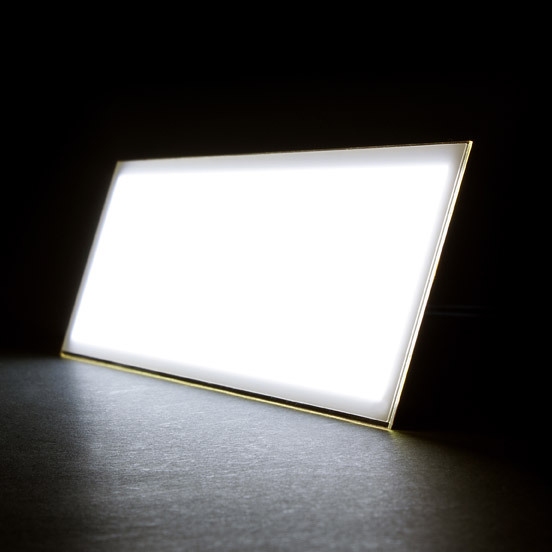 RIGID OLED LIGHT PANELS ARE AVAILABLE IN A SELECTION OF SIZES AND INCLUDE SQUARE, CIRCULAR AND RECTANGULAR panel options. 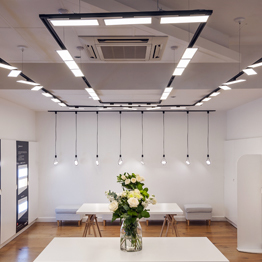 the panels are available in set dimensions across the range.